The Daisy Vintage Bracelet is a stunning addition to the quintessentially English Vintage collection of simple and distinctive designs inspired by an elegant country garden. 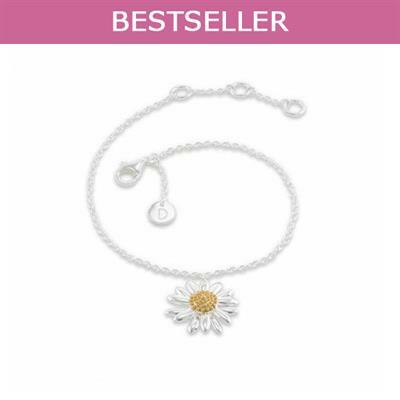 Daisy has updated the popular Vintage designs with stunning Made with 925 Sterling Silver and 18ct Gold Platted details with a 10mm daisy charm. This Vintage bracelet is extendable from 17-19cm.